Seal System – Made in U.S.A – MSO Seals & Gaskets, Inc.
A set of Aluminum Pie Jaws and a set of Tool Holders containing one sample of each tool holder. Any extra will be an option to purchase. Also includes Three-Five gallons of Coolant and Three-Five Gallons of oil lubricant. Also 12 Station Holders for the tool holder on the turret. One lapping machine series #1 with one disc for the lapping of the insert One small band saw. The system requires a Program (one copy only-software will be included). There is also a 3-year agreement for the purchase of materials from us. There is a one-year warranty on the machine for parts only. 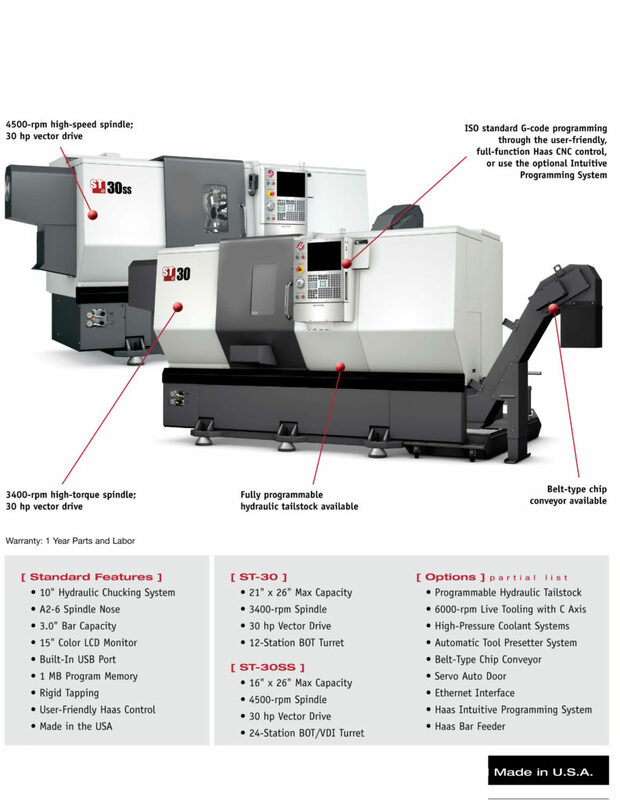 The all-new MSO ST 30 CNC Lathe offers an exceptional combination of standard features in a rugged, affordable compact machine. This machine is intended for speed, power, accuracy and durability over competitive machines in their class for the highest possible return on investment. 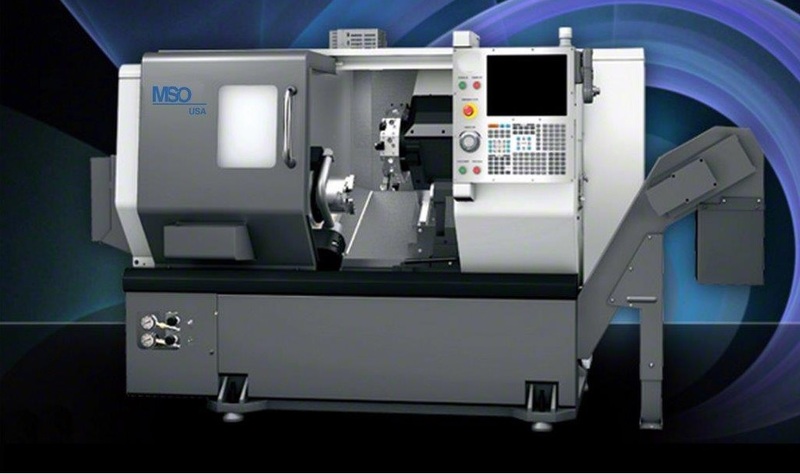 It features a 30 hp spindle drive (with Fanuc Control) and includes a 3-jaw power chuck as standard equipment. 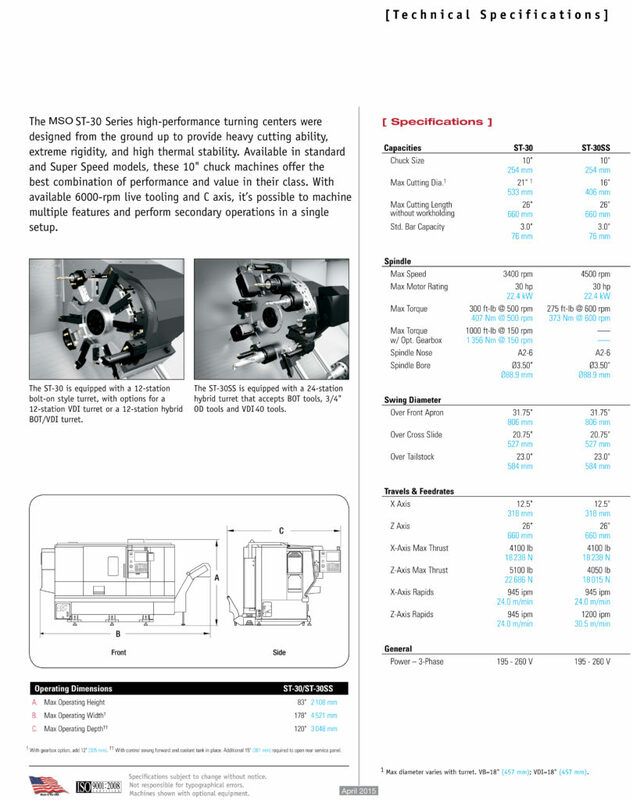 The MSO ST 30 has and A2-6 spindle with 3.00” (76.2mm) through drawtube capacity and a maximum spindle speed of 3400 rpm. Rotation time for the 12-station universal VDI-30 turret is .018 seconds to an adjacent station and 0.58 seconds to the furthest station. The non-rising turret index is achieved using a brush less servomotor. The turret positively locks into position using a 3 piece curvic coupling. Tool coolant and headwall coolant capability is standard and can accommodate water- or oil-based coolant. Heavy-duty, six ball-type linear guide ways are used for the X and Z axis motions, providing added stiffness, damping and surface contact area to ensure a very stiff and durable machine. Rapid transverse rates for the and Z axis are an impressive 945 in/min (24mpm). Maximum X axis travel is 12.50” and maximum Z axis travel is 26.0” (660 mm). The strategically ribbed 45-degree slant bed machine base, provides superior rigidity and durability. All structural components and castings are qualified by Finite Element Analysis (FEA)- a proven highly technical procedure that ensures a stiff, structurally sound machine tool design. A pendant mounted 15″ color LCD monitor, memory lock key switch unit is standard. expense (airline ticket, food and hotel) we can train up to 2 people. Once purchase order has been placed with MSO Seals and Gaskets, Inc. and down payment received the purchase order cannot be cancelled and buyer will be responsible for the total amount of the agreement. This machine requires 220v, 3 phase for electricity and may require transformer which is not included in this proposal.